Perhaps the most effective way to ensure a smooth visit to a cannabis dispensary is to research local laws before making a visit. 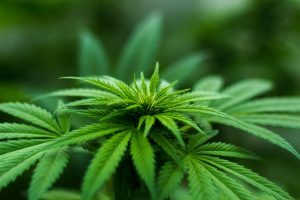 Cannabis compliance litigation is in a constant flux. As such, a few minutes of investigative reading will get individuals up to speed on state and county laws. Once educated on local policy, cannabis consumers can safely fulfill their cannabis needs at specific dispensaries feeling prepared. With the initial trip to a cannabis dispensary, novice shoppers are often intimidated by the presence of armed guards. These guards are present in the parking lots and entrances of dispensaries. While it is easy to mistake these guards as police officers, don’t fear. Armed guards at dispensaries often work for private security firms which are subcontracted by the businesses. Otherwise, they are employees of the cannabis dispensary. Therefore, these guards are simply on site to keep the premises secure in the interest of the marijuana customer. If persons entering cannabis companies with a backpack or a purse, the guards will want to have a look inside to ensure that there are no weapons. The guards are not searching for drugs. In reality, if they find a stinky jar of weed in your bag, the guards will likely compliment you on it. Finally, to ensure a smooth entrance to the business, cannabis patrons should not have anything threatening or embarrassing in their baggage. Every time that consumers visit a cannabis dispensary, they have to wait in a “check-in” area located outside of the actual shopping space. This area exists so dispensary employees can ensure that clients have the proper paper work before entering and accessing product. Furthermore, the waiting area ensures that the interior venue doesn’t become overcrowded. This way, budtenders can give customers their full attention. To reiterate, proper research on state and county laws will pay off when it comes time to check-in. 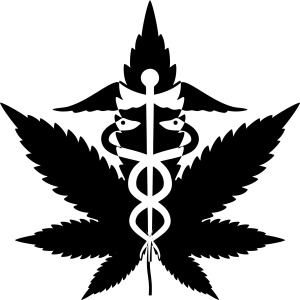 If living in a medical state, patients will need to provide medical documentation and a state issued ID to enter the premises. Correspondingly, the cannabis dispensary receptionist will likely need to verify your paperwork with your provider by way of the internet or telephone. Finally, don’t be intimidated by the prospect of sharing your personal information with a cannabis dispensary. This data is protected by law. This transitional period in cannabis culture juxtaposes the ill-informed drug war mentality of the twentieth-century against the progressive mind-set of the present day. Consequently, just because consumers can legally access cannabis at dispensaries does not mean that its use is condoned in their professional and personal lives. Therefore, small talk between patrons is acceptable, but anonymity in these situations should be respected. This is largely because, it would be unfortunate if an upstanding citizen’s welfare was jeopardized through gossip or hearsay concerning responsible cannabis consumption. When shopping for cannabis products, utilize the knowledge of budtenders. The well-informed budtender should be able to inform customers about the specific effects of each product. These cannabis professionals should also specifically match needs to tolerance levels. However, the final decision is placed on the consumer. This notion is extremely important concerning edibles and cannabis extracts. With these potent THC products, a little bit often goes a long way. With the conclusion of the cannabis dispensary shopping experience, you should aim for a quick departure from the parking lot area. Again, this practice is in the best interest of customer safety. 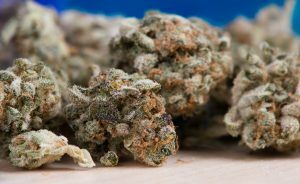 Depending on the locale of the dispensary, crowds in cannabis dispensary parking lots can attract unsavory attention from the criminal population. Never attempt to consume cannabis products in the parking lot of the business. Furthermore, if you have friends or family that have been waiting in your car do not share your cannabis with them. It’s important to note, there are a plethora of legalities surrounding this “distribution” issue and these practices are better saved until behind closed doors. If cannabis consumption or sharing occurs on the property of the dispensary, the business can easily lose its license. Finally, cannabis patrons must respect the parking area and property of other businesses near the dispensary. The taboos surrounding cannabis culture already give the industry enough challenges in the public eye. Keep in mind that battle against prohibition is still far from over. Let’s not allow irresponsible actions like loitering and illegal parking set legalization efforts back. This article originally appeared in the February / March 2017 edition of HydroLife Magazine.